Are you ready to take your career in clinical nurse specialist jobs to new heights? With facilities across Solano County, NorthBay Healthcare is pleased to present a number of high-growth, high-impact opportunities for individuals who are searching for clinical nurse specialist jobs and other nursing jobs in a creative, enriching environment that challenges their skills and rewards their performance. Come see why we’re an employer of choice in the Northern California region! For our associates with clinical nurse specialist jobs and other nurse jobs, NorthBay Healthcare is dedicated to giving back to those who give so much at work every day. Perks of our top-tier employment package include highly competitive compensation, comprehensive insurance benefits, generous paid time off, service awards, shift differential, and more. At NorthBay Healthcare, our commitment to fostering health, wellness and vitality extends to our patients and providers alike. 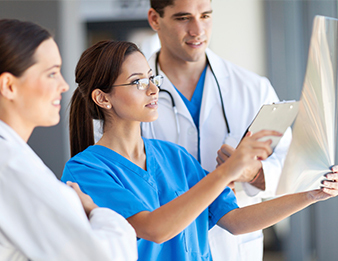 Be sure to check out our full list of opportunities and join the NorthBay Healthcare Talent Network today to stay up-to-date on our openings for clinical nurse specialist jobs and other nursing jobs as they continue to become available!